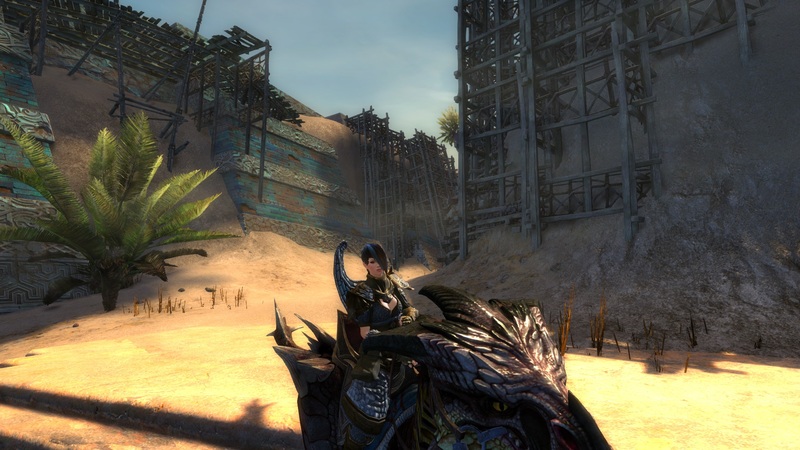 Since July’s issue of MMOCO, some big things have happened for Guild Wars 2. Details on the long-awaited Path of Fire expansion were released and a preview weekend happened just this last weekend. For August, we’ll be diving into these two topics. 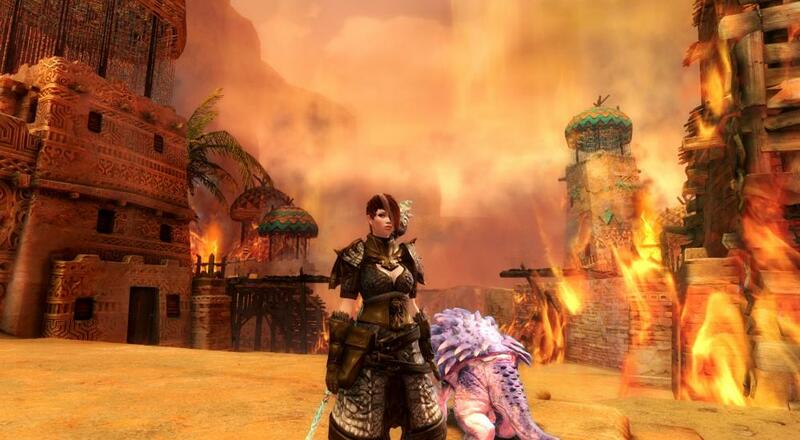 Guild Wars 2 players have known that Arenanet has been working on a second expansion to the game for a long time now. I recall learning about its development not so long after the release of the first expansion, Heart of Thorns, which came out in October 2015. Details were slim and mostly rumor, though, and the second expansion’s release date became less and less predictable over time. So it was a bit of a shock to me when Arenanet suddenly announced at the end of July that they would be doing a full reveal of the second expansion on August 1st. As promised, Path of Fire was revealed to the world on August 1st. In a similar fashion as the first expansion, Path of Fire will open up a whole new part of the world to players. This time, it’s the Crystal Desert and Elona, two locations that were heavily featured in Guild Wars: Prophecies and Guild Wars: Nightfall respectively. In the lore of Guild Wars 2, the residents of Tyria have been cut off from the two other highly populated continents (Elona and Cantha) since the rise of Zhaitan (the Elder Undead Dragon of Orr). The six gods of the world have been silent for over 200 years, though humans still worship them. But in Path of Fire, players will begin to venture into Elona as they encounter the return of the Balthazar, the god of war and fire. They will begin to answer two of the game’s most pressing lore questions: what happened to the people of Elona and where have the gods gone? Path of Fire will also introduce the highly-requested mount feature into the game. Unlocked through the Mastery system (a max level progression system first introduced in the first expansion), mounts will offer new ways to explore the world while also, of course, giving a travel speed increase. The Raptor, Skimmer, Springer, and Jackal each have their own unique strengths and set of skills. Page created in 0.6885 seconds.